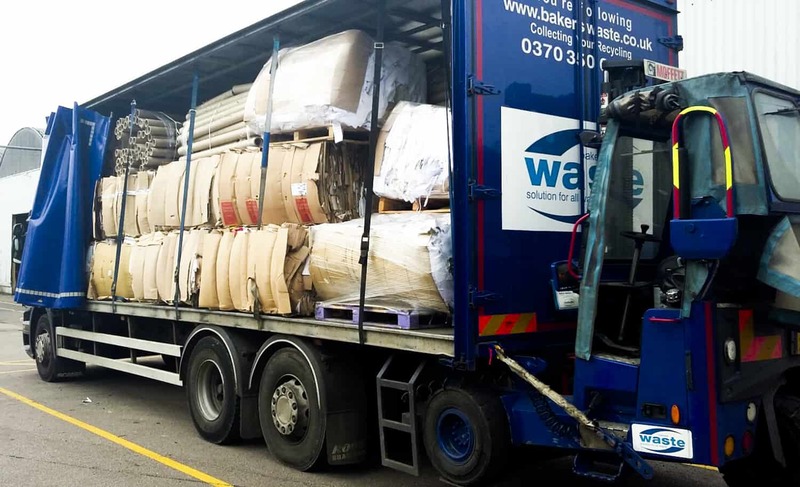 Bakers Waste provide internal containers for the convenient disposal of plastic bottles, and other plastic waste for recycling, for you to locate in designated areas on your premises. These will then be emptied by you into the recycling wheelie bins provided by Bakers Waste. We can supply you with 240ltr – 1100ltr Wheelie Bins for the storage of larger quantities of plastic waste for recycling. Put your waste plastic for recycling into the correct internal/external containers. We collect the plastic and take it back to our recycling centre. There the plastic waste is baled. Then the plastic waste is re-processed to become new plastic packaging, bottles, etc. If the quantities of plastic generated are significant (2 tonnes per month) it may be beneficial for you to have a baler and receive a rebate for the materials. Call 0370 350 6 350 and we will carry out a site audit to advise you on the best way to recycle your plastic. Want to discuss your plastic recycling requirements? Get in touch! Contact our team today by calling 0370 350 6 350 to run through your requirements for plastic recycling in Leicester, Northampton and beyond or alternatively send us a message via the form below and we’ll respond to your enquiry as quickly as we can.